VIPAccessEXCLUSIVE: Dr. Ken Star Albert Tsai Interview With Alexisjoyvipaccess At The 2016 Young Artist Awards! Whether it’s playing the role of Dave on ABC’s hit show Dr. Ken or Bert Harrison in Trophy Wife, the wonderful Albert Tsai always makes a memorable impression through his terrific roles and amazing acting skills. The outstanding Albert Tsai has been in an incredible amount of highly-acclaimed and remarkable TV shows including How I Met Your Mother and his roles he is greatly recognized for in Trophy Wife, Dr. Ken and Fresh Off The Boat. Albert Tsai has such a magnificent gift for acting and he truly amazes everyone with his spectacular talent. Not to forget, Albert Tsai was even nominated for “Best Supporting Actor” at the 2014 Critics’ Choice Television Awards when he was only 9-years-old! So many awe-inspiring accomplishments at such a young age and there is only more coming for the awesome Albert Tsai. 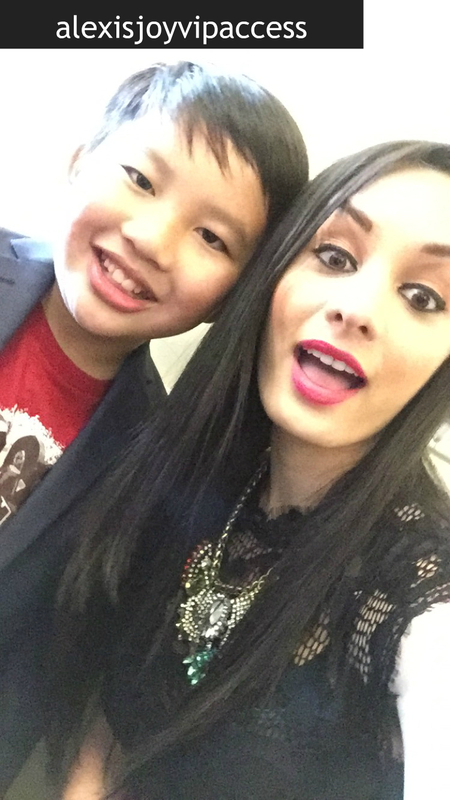 I, Alexisjoyvipaccess had the greatest pleasure of covering the 2016 Young Artist Awards and had a fantastic time interviewing the incredible Albert Tsai at the event. Albert Tsai dished exclusively to Alexisjoyvipaccess all about what his favorite episode is that he has worked on for Dr. Ken, what it is like for him filming in front of a live audience, and so much more only in our VIPAccessEXCLUSIVE interview. Albert Tsai even brought out one excellent message to all of his fans – hear what he had to say in our VIPAccessEXCLUSIVE interview below. Thanks for the fun interview, Albert! Check out my VIPAccessEXCLUSIVE interview with the phenomenal Albert Tsai at the 2016 Young Artist Awards below! Previous Article: Biggest Congratulations To YouTube Sensations The Merrell Twins On 1 Million Subscribers! Next Article: Jake Miller And Zayn Should Do A Song Together! Check Out Jake Miller’s “Pillowtalk” Cover Here!